The title of this post was taken from the song Name by Goo Goo Dolls. It's cold even though the hot air pours through the vents. A chill sits deep in my bones and refuses to let the heat permeate. Like the air that slips past me I can't seem to catch my voice, I can't seem to put my finger on the thousands of thoughts and emotions swirling inside me. Sometimes I just can't help but feel lost in my own life. 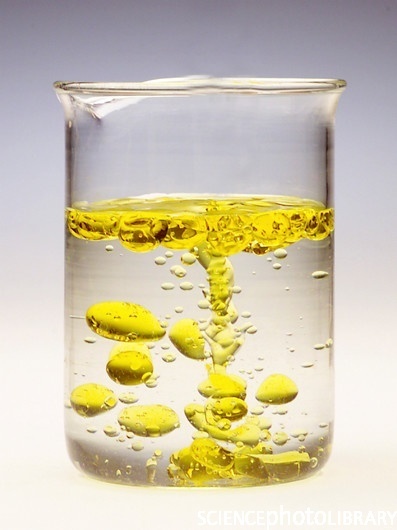 Do you know why water and oil don't mix? 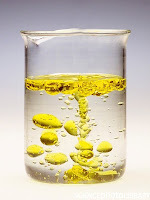 Water is a polar molecule (one end/side is + the other is -), and oil is non-polar. My life right now is a bit like this. My grief is like oil, it's slippery and seems to move without reason. The life I've rebuilt for myself is like water. It's clear and sparkles in the sun. What happens though when you try to mix oil and water? Have you ever tried it? This is what is looks like. maybe I don't want them to. I'd love to post something like "It'll get better" or "It will get easier," but I have no idea if it does or not. I hope it does, though. I hope like hell that it does. I'm rooting for you. Thanks Darrell. It will get better. Sometimes it's hard to focus on that when it feels like it will never end.